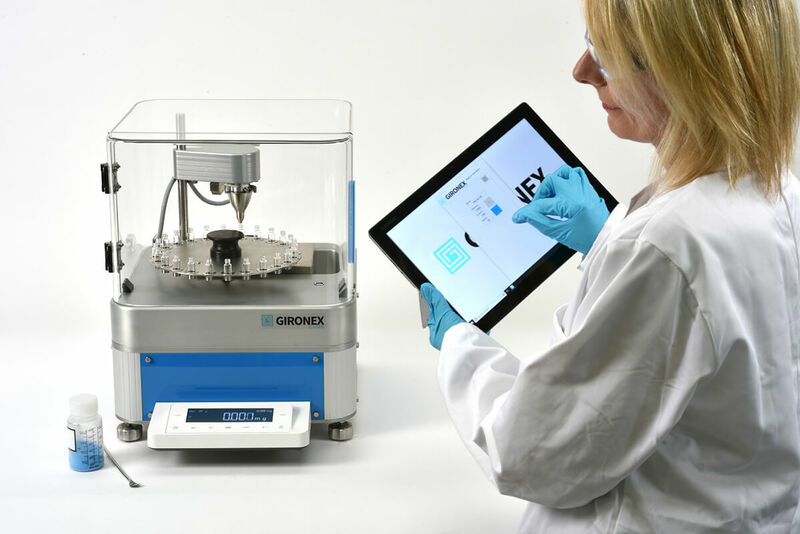 GiroNEX CUBE combines innovative Autonomous technology with a novel robotic dispense system, to make repetitive precision powder dispensing, simple and efficient. 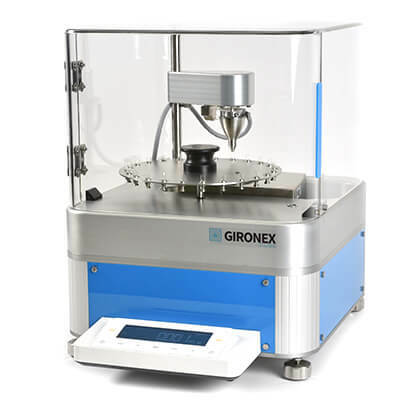 Compact and easy to use the GiroNEX CUBE automated dispenser is suited to any laboratory bench top application. 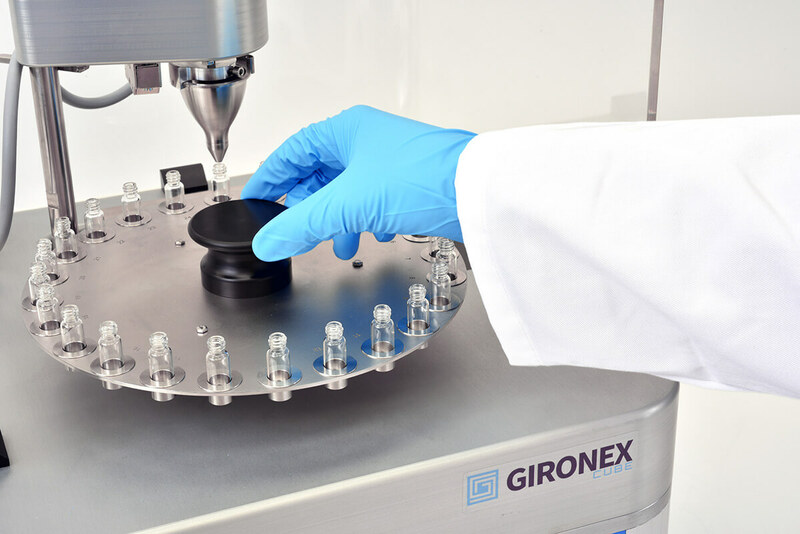 Small in size but powerful in performance the GiroNEX Cube is suited to any laboratory bench top with simple operation, Add Powder, Add Vials or Capsules, Enter desired weights and Press Go. 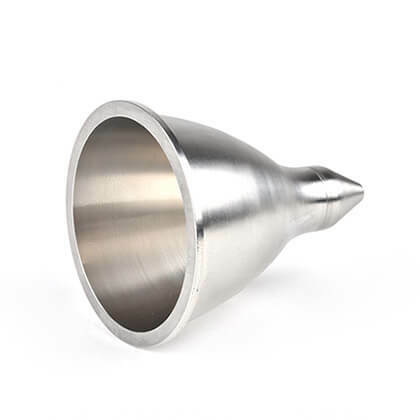 The novel dispense heads are designed to deliver unlimited precise and accurate powder dispensing. 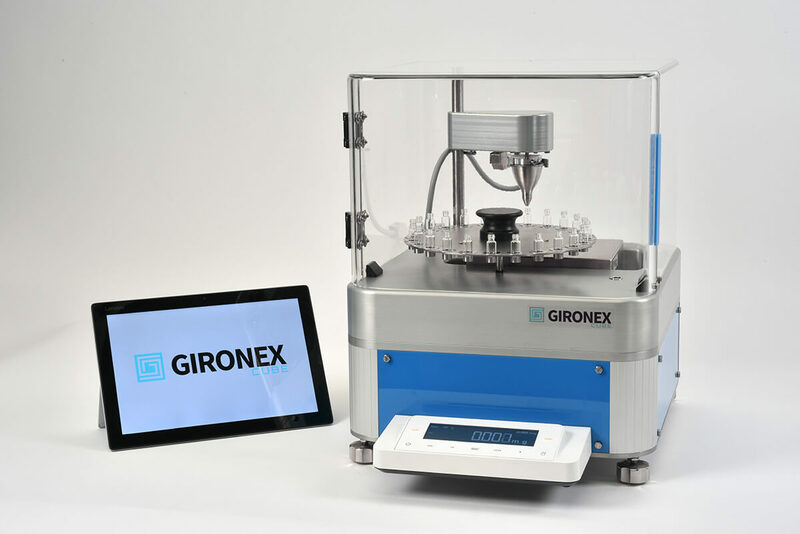 Flexibility to easily accommodate a range of vials and capsules, the GiroNEX Cube automatically dispenses milligrams of powder accurately, precisely and safely with unlimited dispensing capability. 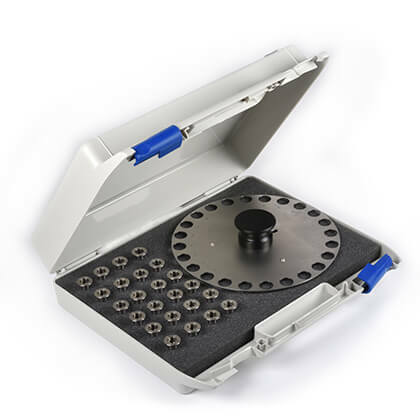 Autonomous weighing at the touch of a button, the state of the art wireless touch screen windows tablet provides simple data entry for the same or different mass dispense requirements, with unique sample identification. 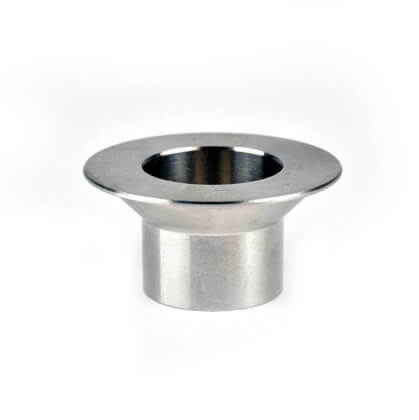 A Range of standard accessories are available to ensure efficient powder micro dispensing, whilst a range of inserts and dial plates adds versatility for capsules and vial applications.